My first question to any would be blogger is why. Why do you want to put yourself through the agony of sacrificing your personal time and resources so you can share your experiences and research. There are other avenues to take; write an article and submit it to a site offering free content (such as DFI News or Forensic Focus). Write a post for a blog that publishes guest posts (such as SANs Forensic blog or Girl, Unallocated). I’m not trying to talk anyone out of blogging since it has been a rewarding experience. On the contrary, I’m just trying to get my point across that blogging is a lot of work and in the end you are doing it for free. When I decided to start blogging I told my wife “it will be easy”. Sure I had a new born to go along with my two other sons, was pursing my Masters degree, and still had a full time security job but I seriously thought putting together a few posts a month would be a cake walk. My perspective changed pretty quick after I wrote my first few posts. If you have any hesitation about not wanting to put in the work then consider the other options available. If you made up your mind and blogging is the route you want to take then the remaining tips may be helpful. People who start blogging have a reason why they are doing it. For some it’s to give back to the community, for others it’s for name recognition, for some it’s a platform they control to share their research, and for the rest it’s any number of reasons. Before you even start setting up a blog make sure you know what your true motivation is. There will be times when you have writers block or you just don’t feel like writing anything so whatever your reason is for blogging needs to be enough to motivate you to put the keyboard to word processor. Your motivation needs to come from within since most of the time others can’t do this for you. This was something that helped me so I wanted to pass this nugget along. Before you even start worrying about content, site design, or any other details take some time to consider how often you want to update your blog. If you look at other DFIR blogs you will notice a range in how often they are updated. From multiple updates in a week to monthly updates to yearly postings. As an author, I found it helpful to set myself a monthly goal of how many posts I wanted to put together. It helped to not only plan better on how to reach my monthly goal but it helped get me into the habit of writing regularly. As a blog reader, I tend to check the sites with a more regular update schedule more so I assume others readers do the same. If a blog gets updated at random times then it tends to fall off my radar until I see it in my RSS feeds. Whatever goal you set for yourself it’s not something that needs to be publicized. It’s a personal goal for yourself and only for you to know. I’m only mentioning my goal since I’m giving this advice. I always wanted to write three substantial posts per month so at the end of the year I would have 36 decent write-ups. I also found it helpful to at least pick a theme for the blog. There are times when I’m not sure what to write about so having a theme gives me something to fall back on. As you might have noticed my theme is in the title: Journey Into Incident Response. I wanted to blog about the different things I learn and experience as I work on improving my skills and knowledge to investigate security incidents. If you do decide to pick a theme it doesn’t mean you are locked into it. Write about whatever you want whether if it’s about a book, tool, article, or anything else you are working on in the moment. The theme is just a crutch for when you start to run out of ideas which brings me to my next point. Make sure you have a blog idea hopper. Keep a list of different ideas for future posts and always add to it when you think of something new. Some ideas may never go beyond the hopper while others may turn into great articles. One of the reasons why I don’t struggle with ideas for posts is because I constantly have between 5 to 10 ideas in my hopper. If I need something to write about then I just look over my hopper and pick the one that interests me the most. Case in point, the idea for this post has been in my hopper for months. At this point you know why you want to blog, what your motivation is, how often you will update it, and you have a general idea about what content you want. The biggest decision you will now make is how you want to host your blog. The two most frequent publishing applications I see DFIR bloggers use are Word Press and Blogger. If you aren’t sure about what publishing application to use then reach out to the blog authors you read. I bet the authors are more than willing to let you know why they choose what they did and how they feel about their decision. As for me I went with Blogger for two simple reasons. First was because most of the blogs I followed at the time used the service and second was because I didn’t want to have to worry about maintaining software updates. All I want to do is blog and Blogger enabled me to do that. The second biggest decision will be what template to use for your blog. The template is how your blog looks and what people will stare at when reading your posts. Your publishing application may have a few templates available that meet your needs. If the built-in templates aren’t what you are looking for then there are free templates available online. What sites should you use to get a free template? Great question and it’s still one I can’t really answer today. The last thing I wanted was to get a free template with an embedded malicious link that would attack any visitor of my blog. So I took a closer look at a few DFIR blogs I followed to see where they got their templates. I went to each blog and viewed the site’s source code to find the template’s author website. The screenshot is from my blog’s current template but it’s also the website I saw in a ton of other DFIR blogs. Remember growing up when people said first impressions matter? I think the statement is true even for blogging. When I was in the process of configuring my blog one setting I loved was the ability to restrict access to my blog. I pretty much prevented anyone from seeing the blog while I tried out different templates, options, and layouts. In Blogger I even used the setting preventing the site getting indexed by Google. I only removed the permissions, thus allowing anyone to see the blog, when I had everything set up the way I wanted. Configuring your blog is a matter of preference so my only advice is to don’t unveil it until it’s set up the way you want it. ITAuditSecurity has some great posts about blogging tips. As it relates to putting a post together one tip I wanted to echo was in his post Blogging: Choose Great Titles and Intro Sentences. His reasoning is not only do they grab the attention of readers but they also help in having better search engine results. I completely agree with his points and I wanted to build on it with another point. Picking good titles and intro sentences helps to let the reader know exactly what the post will be about. If the point of the post can’t be conveyed in a title or one sentence then make sure it is conveyed in the first paragraph. If the content of the post isn’t clear upfront then some readers will stop reading before they reach the part of the post where you make your point. In all of my posts I try very hard to make sure that the reader knows exactly what I’ll be talking about by the time they finish reading the first paragraph. Here I was thinking there was some secret; some involved advertising process only known to bloggers but in the end advertising has actually been the easy part. Two years later I can honestly say Harlan’s advice was spot on. Don’t get me wrong about my next comment. I truly appreciate all the feedback I have gotten over the last two years. 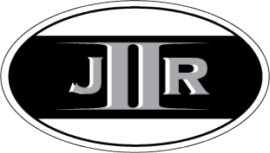 The conversations in person, comments offline, and comments posted to jIIr. When you start blogging treat any feedback you get like gold. Feedback is the best way to get an idea about your blog’s content so cherish it when someone gives it to you. The reason is because the majority of blog readers don’t provide feedback. They don’t leave comments, send emails, or contact you using other means. Thinking about it I fall in the same boat. I follow over 300 blogs and my comment to read ratio is pretty low. For the first year blogging it felt as if I was talking to myself. I would keep posting different content but I didn’t get a lot of feedback. I wasn’t sure what content went over well and which ones as Harlan says “went over like a fart”. In these situations Google Analytics will be your friend. Google Analytics keeps stats about your site such as pageviews for each post and referrals to your blog. For the times when I don’t get feedback I can get a rough idea about the content people like by looking at the page views. However, some of my posts where I got great feedback were the same ones with low pageviews. Leverage Google Analytics as a tool to guage interest on your site but remember it is not fool-proof. As I mentioned before blogging has been one of the most rewarding things I have done. It has required a lot of sacrifice but it has made me into a better DFIR practitioner. There are times when I felt as if I wasn’t adding value; times when I was flying high because my research and posts has helped others. Regardless of what happens when you blog, the most important advice I can give is to stay true to what motivated you to blog in the first place. If you are working towards accomplishing what you set out to do then the rest doesn’t matter. Enjoy the ride and remember to say thanks to those who give shout outs about your blog or provide feedback. There is a tendency to focus on what is different when we are faced with newer operating systems. What are the security changes and how does that impact security testing against it? What are the new artifacts and what new information do they provide? The focus is mostly on the changes as it relates to us looking at the operating system. However, there are other changes that may impact us even more and the way we do our jobs. These changes occur when we use these newer operating systems on the workstations we use for analysis and the changes impact how our tools operate. The User Account Control feature in the newer operating systems is one such change impacting how we use our tools. User Account Control (UAC) was first introduced with Windows Vista and the feature carried over to Windows 7. By default, UAC is turned on in both operating systems. “The primary goal of User Account Control is to reduce the exposure and attack surface of the Windows 7 operating system by requiring that all users run in standard user mode, and by limiting administrator-level access to authorized processes.” This means even if a user account is in the administrators group every application the account runs will only have standard user privileges instead of the all powerful administrative privileges. In essence, we are not administrators when UAC is turned on. It’s fairly easy to see the impact UAC has on a user account with administrative privileges. With UAC turned on, open a command prompt and type the command “whoami.exe /priv” to see the privileges of the logged on user account (if your system has UnxUtils configured in your path then make sure to run Windows\System32\whoami.exe). As shown above the user account only has five privileges and none of them are the elevated privileges typically associated with administrator accounts. The two ways to get around UAC is to either turn it off or to use the “Run As” feature when starting an application. Continuing to see the impact of UAC, with the same user account re-run the command “whoami.exe/ priv” with either UAC completely turned off or with a command prompt opened with the “Run As” feature. Notice the difference in the privileges the user account has as shown below. UAC will impact any application that requires administrative privileges to function properly. I first encountered the impact UAC has on applications is when I was working on a script to examine volume shadow copies. My script needed elevated privileges to work and without it the script would just fail. Why the sudden interest in UAC now? Last week a new DFIR program was released and the tool requires elevated privileges to run properly. 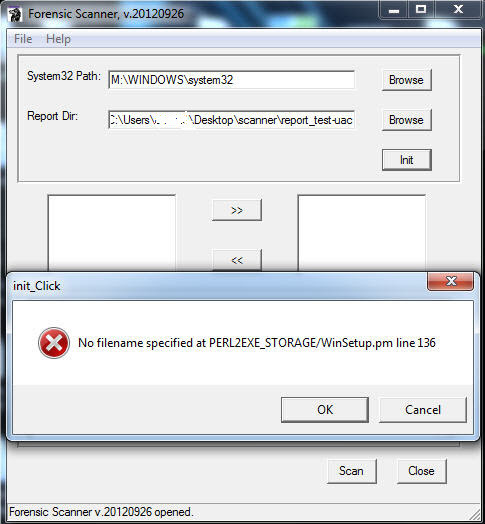 A few people encountered an error when running the program on both Windows Vista and Windows 7. The program in question is Harlan’s Forensic Scanner and the error some people saw when clicking the Init button is below. The error is a direct result of UAC being enabled on the workstations running the Forensic Scanner. To get around UAC and thus the error, all one has to do is use the “Run As” feature when launching the Forensic Scanner (or in my case by disabling UAC completely). Again, the UAC error is not unique to the Forensic Scanner; it’s any program that requires administrative privileges. With that said let’s take a closer look at what is really occurring with the scanner and UAC. 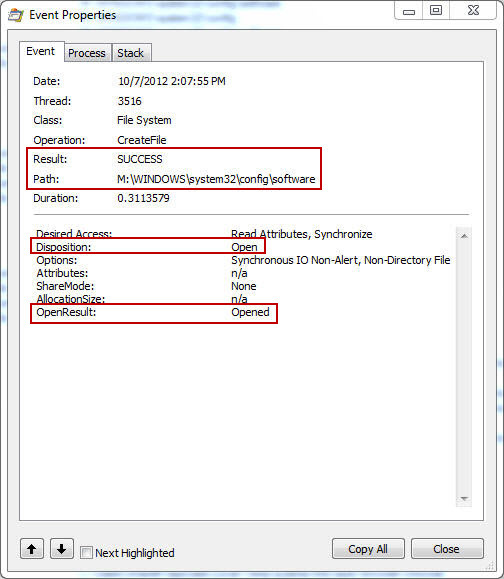 I monitored the Forensic Scanner as it executed with ProcessMonitor using an administrative user account with UAC turned on. The screenshot below shows the first permission issue encountered due to the restricted privileges imposed by UAC. 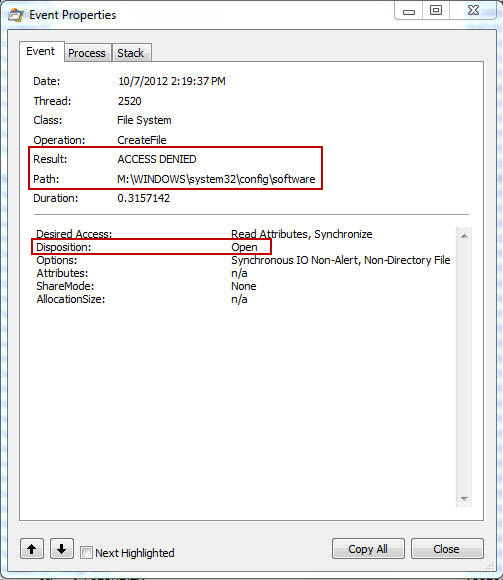 The event shows access is being denied when the scanner tries to open the M:\Windows\system32\config\software hive in my mounted forensic image. Now let’s take a look at the same event with UAC turned off (or with the scanner being executed with the “Run As” feature). The event shows the result is now a success instead of the denied access previously encountered. The end result is the software registry hive was opened. Now the error some people are encountering makes a little more sense: “No filename specified at PERL2EXE_STORAGE/WinSetup.pm line 136”. The Forensic Scanner is unable to open the registry hives because the user account being used has standard privileges since UAC removed the administrative privileges. When we upgrade our workstations to newer operating systems it may impact the way our tools work. 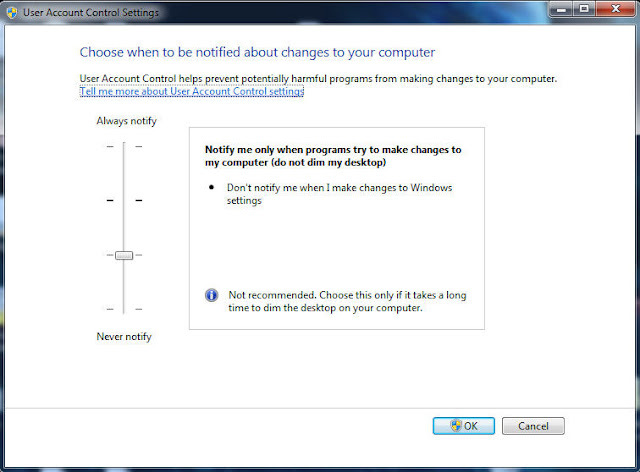 The User Account Control feature introduced with Windows Vista and carried over to Windows 7 is just one example. When the User Account Control feature is turned on any tools needing administrative privileges will no longer function properly. It looks like Santa put his developers to work so they could deliver an early Christmas for those wanting DFIR goodies. Day after day this week there was either a new tool being released or an updated version of an existing tool. In this Linkz edition there isn’t much commentary about the tools because I’m still working my way through testing them all to better understand: what the tool is, how the tool functions, and if the tool can benefit my DFIR process. Without further ado here are the Linkz of the DFIR goodies dropped in the past week. Big shout out to Glen (twitter handle @hiddenillusion) for his steady stream of tweets from the 2012 Open Source Digital Forensics Conference saying what the new tool releases were. The RegRipper project released a new archive containing a bunch of plugins. The plugins extract a wealth of information including: program execution artifacts (appcompatcache, direct, prefetch, and tracing), user account file access artifacts (shellbags), and a slew of plugins to create timeline data (appcompatcache_tln, applets_tln, networklist_tln, and userassist_tln). For the full detail about what was updated check out Wiki History page and to get the new archive go to the download section on the RegRipperPlugins Google code site. While on the topic about a tool authored by Harlan, I might as well talk about his latest creation. Harlan released a new tool named Forensic Scanner followed by a detailed post explaining what the tool is. To get a better understanding about how to use the scanner there’s documentation on the Wiki page for ScannerUsage (there's also a user guide included in the zip file). What I find really cool about this tool is how it will speed up examinations. All one has to do is point the Forensic Scanner at a mounted image and then it extracts all information fairly quick. It reduces the time needed for extracting information so an analysis can start sooner; thus reducing the overall examination time. The tool is hosted on the download section of the ForensicScanner Google code site. Up next is another tool that is plugin based but this time around I’m pretty speechless. All I can say is the project has released a ton of information to accompany its latest version. Leading up to the release the project released a new plugin every day for a month and each plugin was accompanied with a blog post. Jamie Levy did an outstanding job summarizing all the blog posts: Week 1 of the Month of Volatility Plugins posted, Week 2 of the Month of Volatility Plugins posted, and Week 3 of the Month of Volatility Plugins posted. To grab the latest Volatility version go to the Google code site download section and to see what is new check out the Volatility 2.2 release notes. Another great tool has been updated but this time it’s a tool for performing timeline analysis. Log2timeline 0.65 was released a few weeks ago; I know this post is discussing tools released in the last week but I can’t do a toolz post and completely ignore L2T. One cool update is the addition of a new input module to parse utmp file which is an artifact on Linux that keeps track of user logins and logouts on the system. To grab Log2timeline 0.65 go to the Google code site download section and to see all the updates check out the Changelog. There are different ways to review the Log2timeline output data depending on the output’s format. Typically, people use the csv output and in this case a few different options were available. The csv file could be Grepped, viewed in a text editor, or examined with a spreadsheet program such as Microsoft Excel (refer to jIIr post Reviewing Timelines with Excel) or OpenOffice Calc (refer to jIIr post Reviewing Timelines with Calc). Now there’s another option and it’s a pretty good option at that. David Nides has been working on his L2T_review tool for reviewing log2timeline csv timelines. He posted about it a few times including here, here, and here. Typically, I don’t mention tools still in beta but I wanted to make an exception for this one. I finally got around to testing L2T_review this week and I definitely liked what I saw. The 2012 Open Source Digital Forensics Conference did occur this week so it shouldn’t be a surprise to see a new version of the Sleuth Kit released. I haven’t had the time to test out Sleuth Kit 4.0 nor have I been able to look into what the new updates are. Sleuthkit 4.0 can be downloaded from the Sleuth Kit website and the History page can be referenced to see what the updates are. The Autopsy Forensic Browser is a graphical interface to The Sleuth Kit and a new Windows beta version was released last month. I quickly tested out the functionality and I’m truly impressed. I’ve been looking for a decent free forensic browser besides FTK Imager to run on Windows and now I can say my search is over. Autopsy is that forensic browser and it can be downloaded from the Autopsy download page. I’ve mentioned the HexDive program on my blog a few times and the latest is when I was analyzing a keylogger. HexDive has been updated so it provides more context and testing out this new functionality is on my weekend to-do list. Speaking about malware analysis. I picked up on this next tool from a Lenny Zeltser tweet. ProDOT is “tool processes Sysinternals Process Monitor (Procmon) logfiles and PCAP-logs (Windump, Tcpdump) to generate a graph via the GraphViz suite”. This tool seems really cool by being able to correlate the ProcMon logfile with a packet capture to show how the activity looks. Yup, when I’m running HexDrive against a malware sample the follow up test will be to launch the malware and then see how the dynamic information looks with ProcDOT. I first learned about GRR when I attended the SAN Digital Forensic and Incident Response summit last June. GRR Rapid Response is an incident response framework that can be used when responding to incidents. At the top of my to-do list when I have a decent amount of free time will be set up GRR in a lab environment to get a better understanding how the framework can benefit the IR process. The GRR homepage provides some overview information, the Wiki page provides a wealth of information, and the GRR Rapid Response - OSFC 2012.pdf slide deck contains information as well. GRR itself can be found on the download page. LightGrep is a tool to help perform fast searches. I have yet to try this software out but an interesting development is the core Lightgrep engine is now open source. This will be one to keep an eye on to see how it develops. Rounding out this edition of Linkz for Toolz is a new version for the program bulk_extractor. Bulk_extractor scans a disk image, a file, or a directory of files and extracts useful information without parsing the file system or file system structures. Again, this is another tool on my to-do list to learn more about since my free time has been spent on improving my own processes using the tools already in my toolkit.